﻿ Notting Hill Gate Hotel London. JIMAT di Agoda.com! 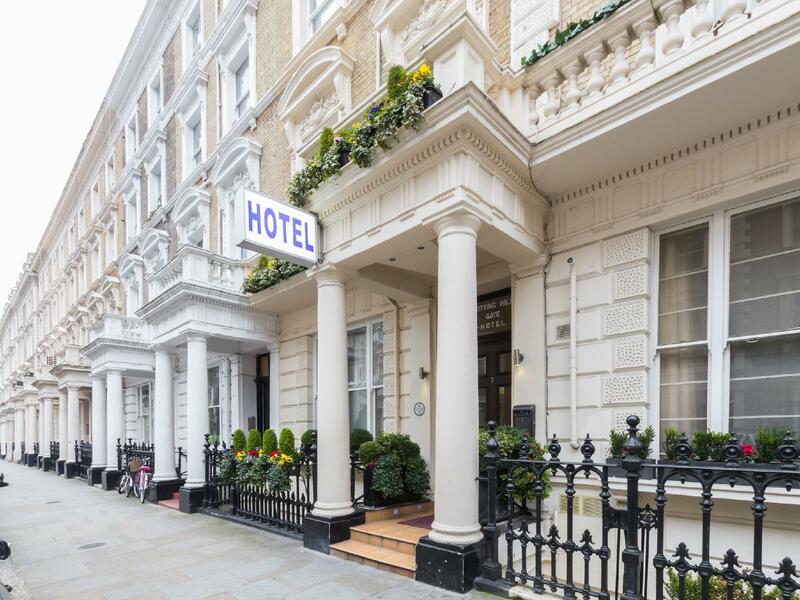 Ada soalan mengenai Notting Hill Gate Hotel? Direka untuk kedua-dua tujuan perniagaan dan percutian, Notting Hill Gate Hotel terletak di lokasi strategik di Notting Hill; salah satu kawasan yang paling popular di bandar tersebut. Dari sini, tetamu boleh menikmati akses mudah kepada semua yang bandar meriah ini boleh tawarkan. Bagi anda yang ingin pergi agak jauh, Frontiers, St Sophia's Cathedral, Maribou merupakan beberapa daya tarikan untuk pelawat. Kemudahan dan perkhidmatan yang disediakan oleh Notting Hill Gate Hotel memastikan penginapan yang menyenangkan bagi para tetamu. Kemudahan utama hotel termasuklah Wi-Fi percuma semua bilik, meja depan 24 jam, simpanan bagasi, Wi-Fi di tempat awam, khidmat bilik. Suasana Notting Hill Gate Hotel terpancar di dalam setiap bilik tetamu. televisyen skrin rata, internet wayarles (percuma), langsir gelap, jam loceng, telefon hanyalah sebahagian daripada kemudahan yang boleh didapati di hotel tersebut. Di samping itu, pihak hotel menawarkan aktiviti rekreasi untuk memastikan anda mempunyai perkara untuk dilakukan sepanjang penginapan anda. Notting Hill Gate Hotel merupakan pilihan yang bijak bagi pelancong ke London, menawarkan penginapan yang santai dan mudah setiap kali. Checkin lasted more than 30 minutes. During checkin the reception staff asked to write all credit card information on a plain paper although it was prepaid reservation. I have to call agoda and Agoda confirmed me it is not safe. The hotel still insisted to take numbers. I had to refused. But this stressfull process lasted 30 minutes. My 7 months boy, his mother and his grandmo had to sit on floor because there was not any chair on floor. Good location and value for money. Tiny (and I do mean tiny) breakfast room with super basic food. Rooms very basic with the bare minimum but otherwise fine. Website said "Free breakfast included",,, it wasn't free nor included! TV wouldn't work and when it did (thankfully I could climb on a chair to sort),, normal channels weren't tuned in! Old chipped laminate flooring. Shower head was silly ornate design which was so heavy it's wouldn't stay upright in use! Bathroom so tiny, anyone who is overweight would get to the WC as it was hiding behind the sink! Lots of noisy banging doors and people banging around rooms till after midnight and then started again at 4am! Good points, I only spoke to one member of staff who was pleasant and the place was very clean. Hotel was cozy and well kept. 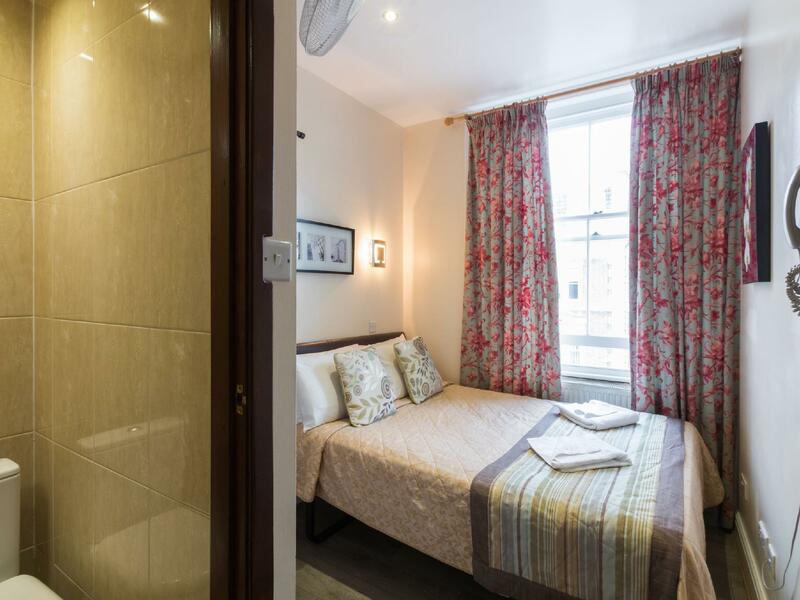 Offers a short walk to the tube station and Hyde Park. Staff was pretty friendly. Maintenance was being done to paint our balcony when we arrived, but the job was done well and didnt bother us much. The staff at check in was very unhelpful. If you can walk up over 4 set of stairs then this may be the hotel for you. The radiators are either too hot or do not work. Did not have a good nights sleep. I recommend this hotel because it offers good value accommodation for a good location with decent continental breakfast. Intend to use again in the future. Pro: We stayed in quad room for 6 days in Notting hill gate hotel. It was very clean and tidy. Just no air conditioner in the room so it might be quite hot for summer season. The location is good. 5 mins for walking distance to tube station and it has bus stop in front of the hotel. Their staffs are helpful when I couldn't watch TV and they fixed it for us immediately. Con: No elevator so you have to carry your own baggage to the room. Breakfast is very simple and same as everyday just like bread, croissant, milk, orange juice, ham and cheese. The room is a bit small but acceptable for price. Positives:Location,one of the best, really good value for money, 3 mins from underground station, excellent service and really efficient especially when I had a last minute request. Negatives: nothing!!! 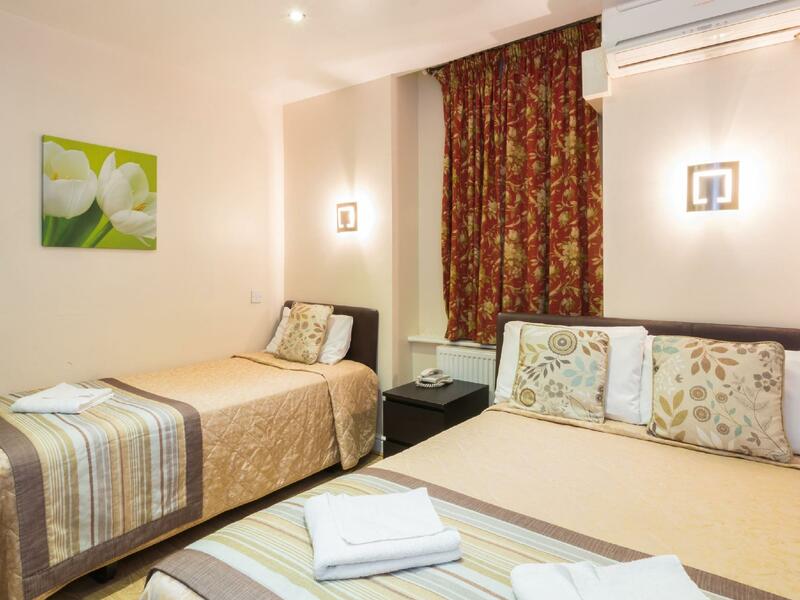 The hotel located 3 street away from the notting hill gate metro station. But if you take the Terravission airport shuttle bus they will stop at baywater which is just 2 street away from the hotel. very convenient and you can save the money of taking train from Gatwick airport. The room is small but we are provided a quad room when we only request triple room. The extra bed we use to put our luggage. So still have space to walk. We are provided a cupboard to had our coat is very convenient. The interior of the hotel and the room is very nice and look cozy. The bed are comfort but the only things is we don't have lift and have to carry our big luggage up. The breakfast is good but do not have croissant. The breakfast room is small just try to be there early will do. The wifi is very bad sometime i give up using phone and sleep. The room are provided with a mounted fan also. Will not be too stuffy. They do house keeping everyday. Overall recommended to stay there. Value for money, comfortable, quiet area. 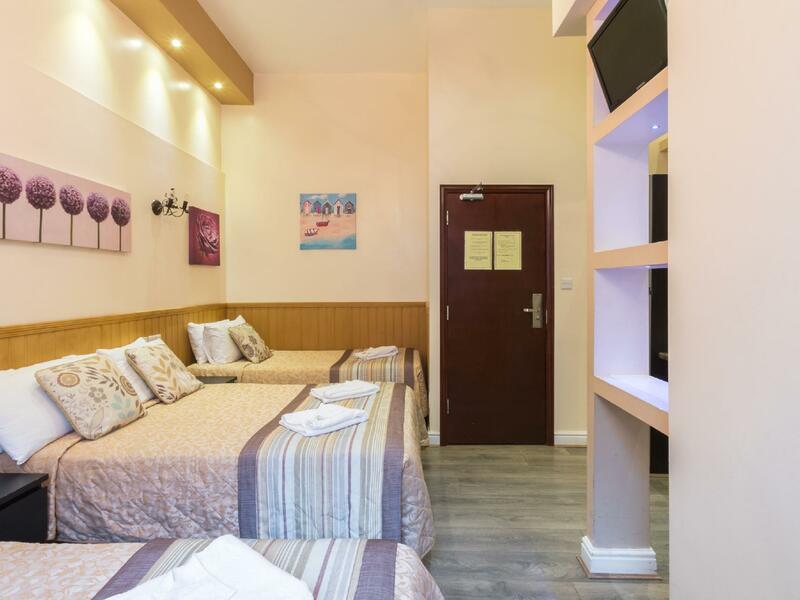 For less than £100 a night in central london, our room was comfortable enough and has easy access to halal food for our family. Tube station was a short walk away and the area was quiet for a good rest. Room were slightly small. But we would definitely come back here again just for the convenience. the hotel is using nice appearence apartment, so it's pretty good to stay, if you like to be simulated experience to live in Notting Hill. the room is clean, but one bad thing is no lift, however it can't be helped. 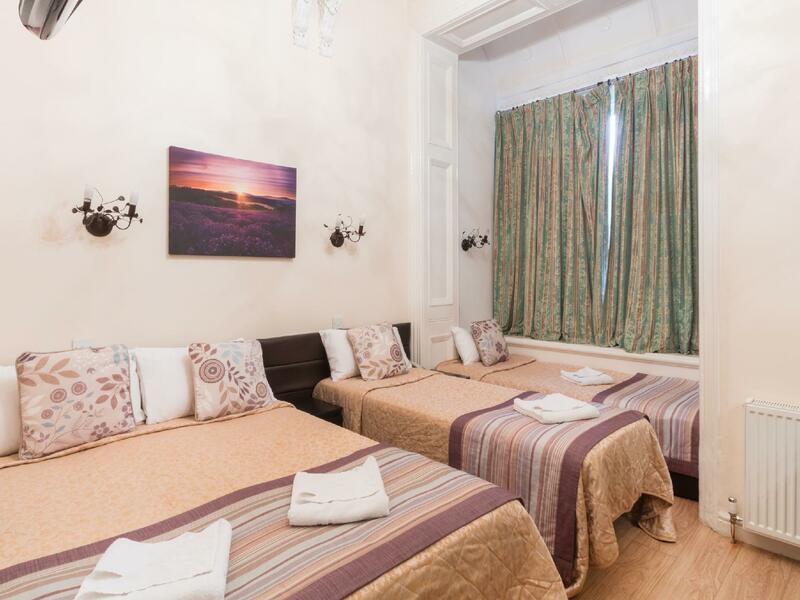 Great location 5 mins walk to Hyde Park and shops and food. But still tucked away very well so it isn't noisy. Highly recommended and very low cost. Room 12 my wife had to lay on the bed so could move or open my suit case, no closet, we asked for a upgrade they gave yes room 20 was a little better. Breakfast room is so small and hot we ate at a cafe around the corner. Staff was friendly I can say that. Stair case are worst then Hotel in Amsterdam. Good security cameras every where. No a/c so it was very hot with both windows open. Could not sleep cause of the loud noise outside. Room 20 had a desk and a closet but not good for large suit case. No lift so you are in trouble if you bring large suit case. Room are good if you are single traveler. Over all I rate the room a -0. Staff was great and very friendly a +10.